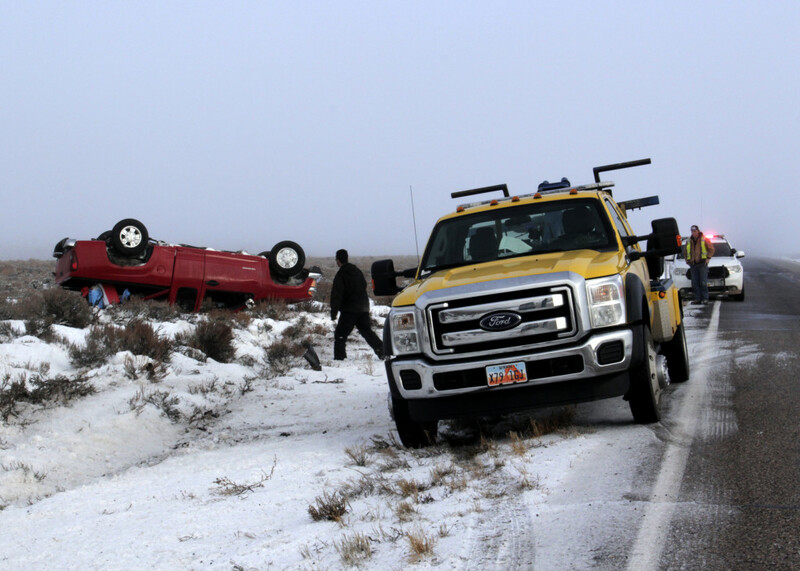 PAROWAN — After losing control on the slick black ice early Wednesday morning, a Cedar City man walked away from a crash uninjured after rolling his truck and landing upside down. 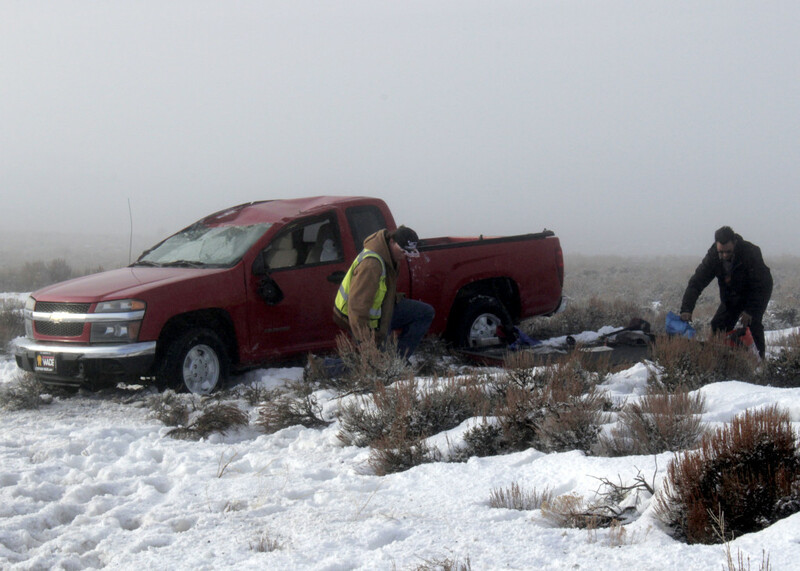 Utah Highway Patrol was dispatched to milepost 26 on state Route 130, also known as Minersville Highway, at 7:35 a.m. after the driver of the truck called for assistance. Though the driver of the 2005 red Chevrolet Colorado had been traveling north from Cedar City to Milford, his truck wound up upside down in the embankment on the opposite side of the road, facing east. 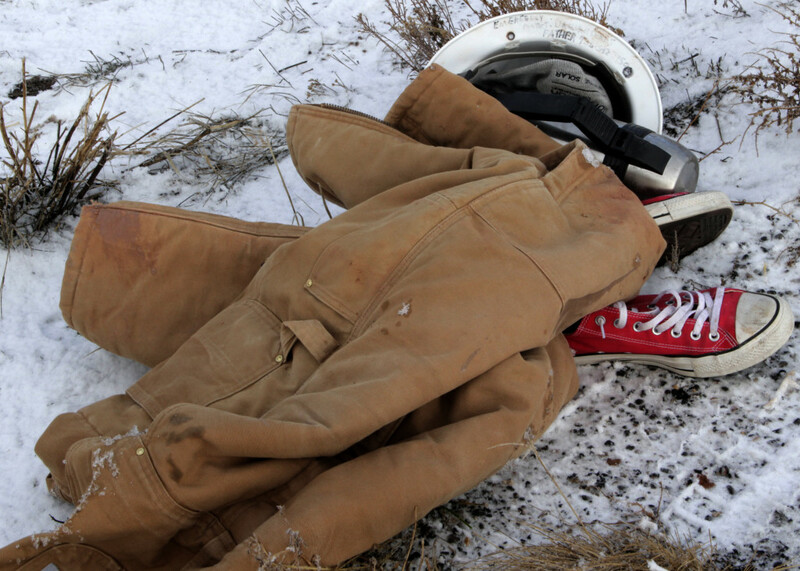 The driver admitted that he was running late to his job with Mortenson Construction and that he may have been traveling faster than he should have, Utah Highway Patrol Trooper Bambi Baie said. 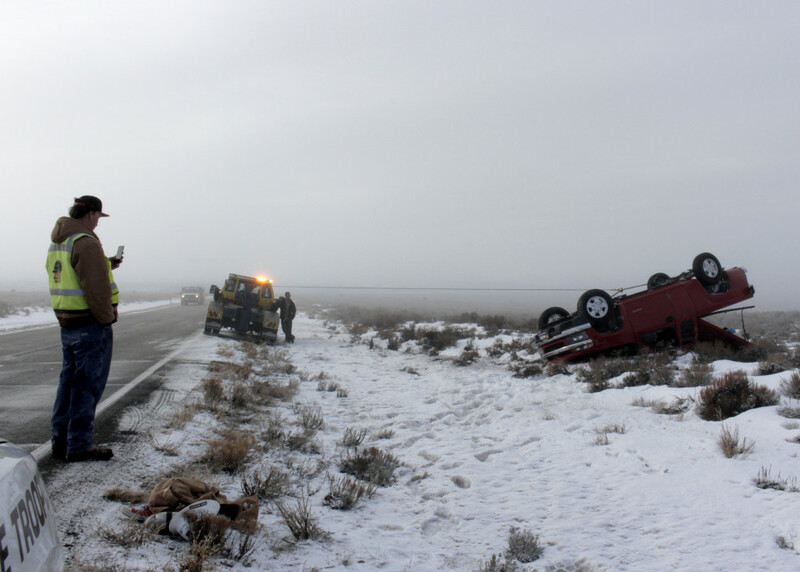 The black ice was the biggest factor in the wreck, she added. 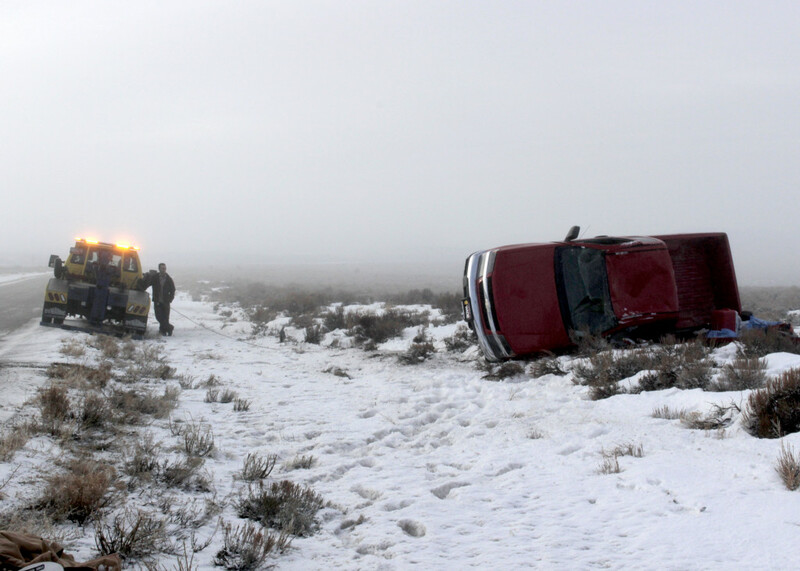 When driving on black ice, it is important to remain cautious, the trooper said. 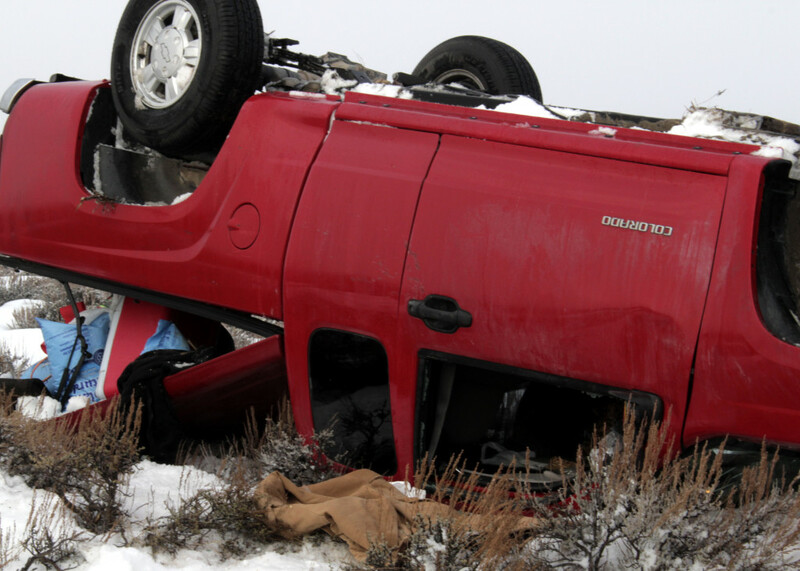 The Cedar City driver in this incident was unable to open the door to the truck to escape the cab, she said, so he was forced to break out a window in order to climb out of the wreckage. 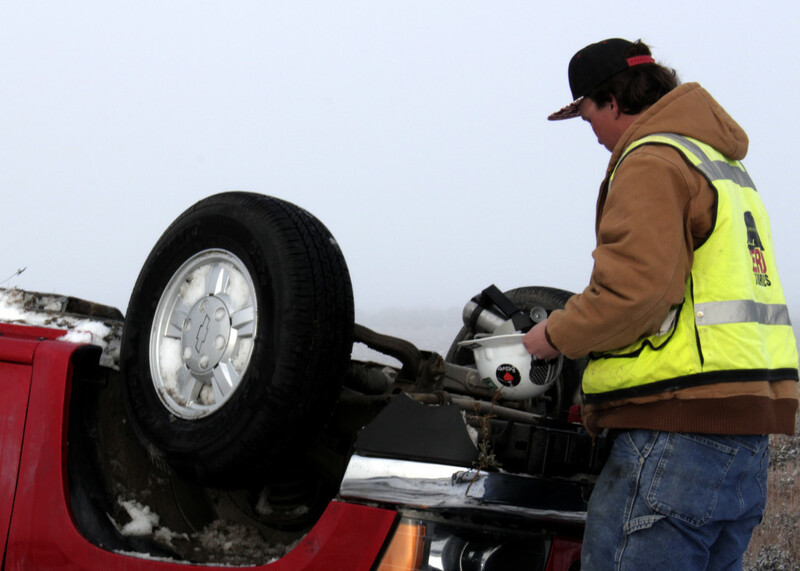 The driver was the only one in the truck and no other vehicles were involved in the crash. 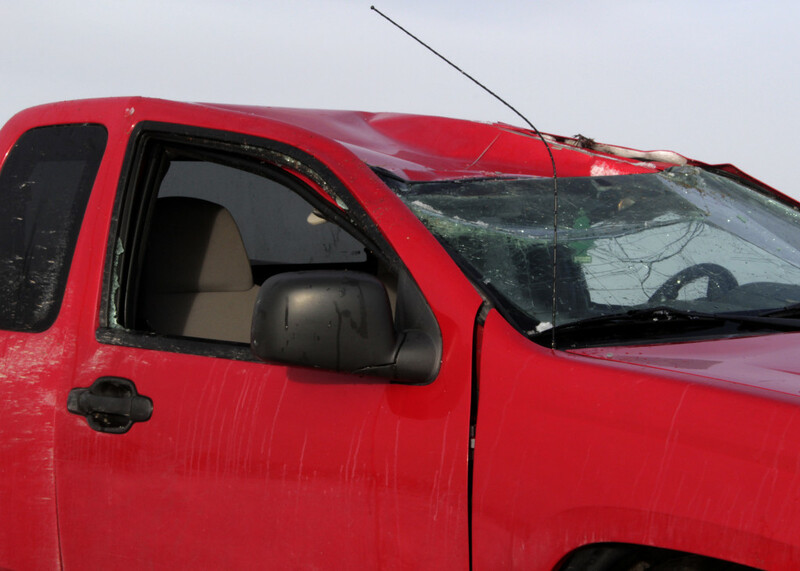 Though Gold Cross Ambulance was on site, the driver refused medical services, stating that he was OK, Baie said. 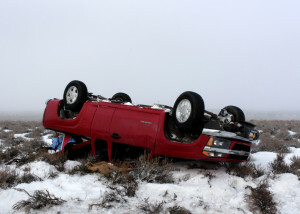 However, she said, the truck was totaled. 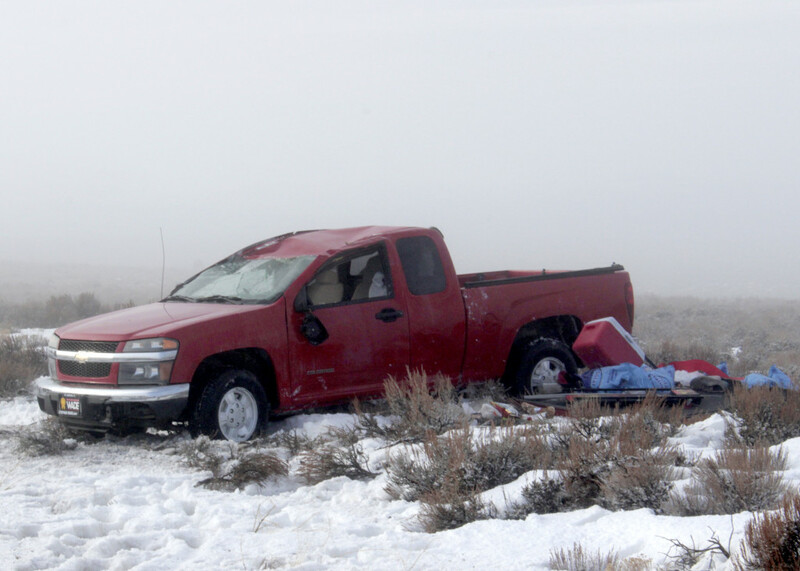 Utah Highway Patrol, the Iron County Sheriff’s Office and Gold Cross Ambulance all responded to the scene. 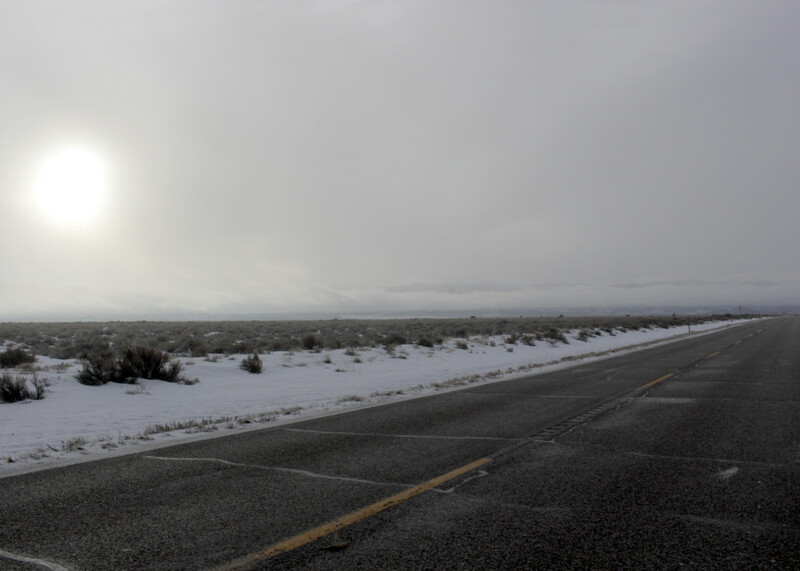 In the event of icy road conditions, important safety procedures for motorists to follow have been outlined at the end of a November 2015 St. George News report related to a fatal black ice incident. 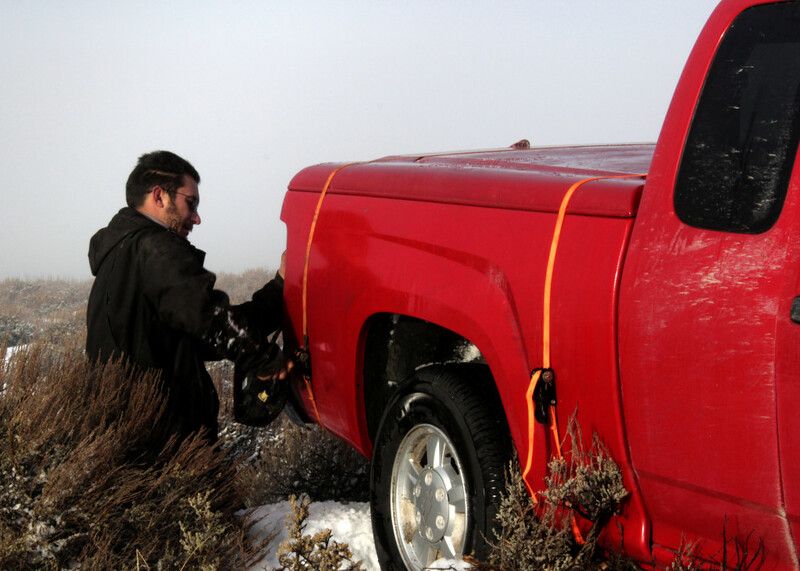 Unfortunate for the truck. Fortunate for the driver. I guess it would be silly to remind drivers to slow down. 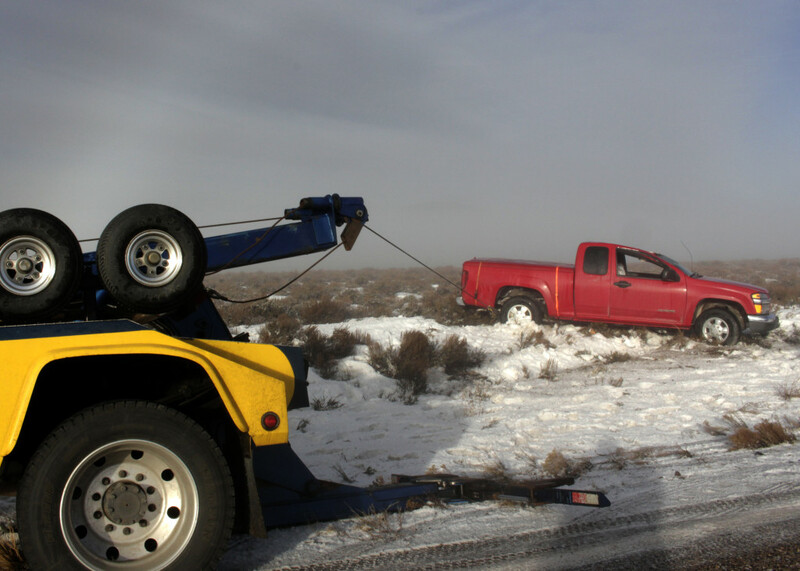 Oh well, the tow trucks need business as well as the auto body shops, insurance agents, ambulance & medical, cops, and news reporters.